Ozgul Calicioglu’s goal is to contribute to the development of reliable bioenergy and biomaterials supply networks. To achieve this, she is focusing on the technical, economic and environmental feasibility of large-scale wastewater-derived aquatic plant biorefineries, and works toward the development of policy instruments for sustainable bioeconomy deployment. Ozgul’s research focuses on upcycling wastewater-derived aquatic biomass into bioenergy and biomaterials. As a model, she uses duckweed, a family of small, fast-growing, floating aquatic plants, which has been considered for bioethanol production due to several advantages over other feedstocks. There is still a lack of studies on bioconversion of duckweed into other end products, which could help evaluate the feasibility of an integrated biorefinery system. Ozgul is targeting this research gap. The objective of her work is to prove the concept of a duckweed biorefinery and evaluate the viability of an integrated wastewater treatment, duckweed production and biorefining process yielding the most feasible end products, through a series of experiments and Life Cycle Assessment approaches. By that, her research is a crucial element in the development of a sustainable energy supply network, which does not put food or water security at risk and instead decreases dependency on fossil-based fuels and chemicals. The results of Ozgul’s research can provide insight into the feasibility of such a system to achieve positive impacts in the water-energy-food nexus, by contributing to low-carbon development, improved sanitation and enhanced water quality. Ozgul is involved in environmental management and policy-making to achieve public engagement in sustainable development. Her interest in bridging the gap between science and policy, and providing answers to sustainability-related issues to policy-makers and the public has led her to work at the Food and Agriculture Organization of the United Nations in the “Toward Global Sustainable Bioeconomy Guidelines” project. In her current position, Ozgul would like to pursue her research on sustainability assessment through transdisciplinary approaches. During the Green Talents Science Forum, Ozgul hopes to focus her expertise in a meaningful direction and gain new insights, which she can then use for the achievement of her professional objectives. 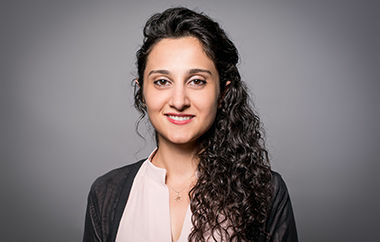 The jury acknowledged Ozgul’s background in waste valorisation and anaerobic bioprocesses, combined with her future interest in sustainable bioeconomy. They believe that her fields of research bring valuable findings that can be interesting for the German research environment. 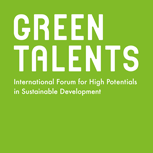 The Green Talents award will support her in her projects and to develop a network during her stay.